Need extra cash? Have any surplus equipment, machinery or material for sale? Surplus Buyers in WV & KY: Looking for all types of surplus equipment, machinery and material nationwide. Have any electrical cable/wire, electrical equipment, electrical motors, pipe & fittings, valves, welding machines, air compressors, air tuggers, hoists, forklifts, bearings, scrap metal etc..? In today’s mass produced world a lot of fortune 500 companies generate so much surplus from over-ordering, not utilizing, not communicating or accounting for the material that they buy for their production and manufacturing. We also do Plant Decommissioning Services. 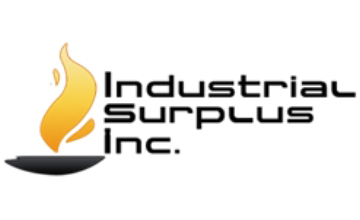 Industrial Surplus Inc. does it ALL! Gas Turbine Parts Buyer in your area. Are you looking for a gas turbine parts buyer near you? Look no further because you’ve found the right professionals. We are the best turbine parts buyer in the nation because of our expertise and experience. Industrial Surplus Inc. now is in the electronic waster disposal industry to recycling surplus and used electronic component parts Intel 286, Intel 386, Intel 486 chips, Pentium processors, memory rams, hard drive boards, LCD monitors, and cell phones.